A Positive Reflection Loop is a student-centric relationship building exercise that reflects on the students’ feedback within the community. In this case care starts to become measurable against the students’ positive experiences within the community and continuously feeds the loop. A positive reflection loop is a model I developed to support students to make informed choices and by developing their social skills, I try to improve self-management skills through modelling caring about others. I developed this model in direct response to some of the reward systems that I had learned from other curriculum. Giving a smiley face sticker for good work creates a reliance on the teacher for rewards. Parents want to know why their child did not get a learner profile certificate and others did. I want to create an atmosphere in my class where students are self-motivated, confident and manage their own behaviour. Student connection is part of my vision and building these connections are not just the responsibility of peers in the classroom. My students’ journey starts with the first day in my class and, ideally, winds up in a positive reflection loop of relationship care. Along the way, everyone in my class has an opportunity to do something more for the loop, if I enable them to do so. As students make their way through the trial and error of learning, compassionate and caring teachers can help them to manage the process and to develop resilience. Our day usually starts with carpet time; a place in time for the positive reflection loop that creates the atmosphere for care, creates responsibility for own actions and offers helpful self-management skills. During carpet time, I model the attribute of caring through which we explore the value of caring about others. Students are more willing to express who they are to you if you are authentic, and it shows in my year 4 students in the sort of reflections they share with me during carpet time. The loop provides the right conditions for optimal care. Caring is one of the most prominent attributes dedicated to social skills within the loop. We show empathy, compassion and respect. We have a commitment to service and we act to make a positive difference in the lives of others and our class community. Responsibility in the class not only creates classroom ownership, but leads to being responsible for one’s own decisions, another way to strengthen the caring loop. Our ‘class librarian’ may have a few fantastic inquiries about physically restructuring books that will support the unit, cultivating a sense of being part of the classroom community. Everyone can take ownership of their responsibilities and add value to the community experience. They may not be the group leader or send out the weekly newsletter, but they are able to connect the dots between their jobs as part of the whole. So often, teachers’ reflections see a need for a change and they take a top-down approach. To create a positive reflection loop, teachers listen and learn from the students first and then—with that newfound knowledge—create internal correction to address student needs. Simply correcting uncaring behaviour will not enact action; I use personal reflections from students to supplement my observations. I track each student’s journey, monitor learner profile attributes such as being caring and identify negative reflection on a regular basis. The beauty of a positive reflection loop is that it forces teachers to prioritize flexibility. If you are constantly following your student’s evolving needs, you do not have time to get stuck in traditional teacher roles. The hardest part is starting that positive reflection loop. Once you find what works best for your students, you can continue to build upon that success. 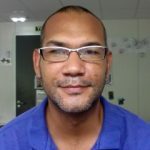 Jason Hanslo, as a member of International School of Gabon Ruban Vert pedagogical leadership team and a member of the positive discipline professional learning community, continues to support teachers at the school and tries to form inquiries, based on authentic relationships. The South African instills the spirit of Ubuntu into everything he does. Thank you so much for sharing! I really believe in this type of approach and am trying to help my teachers see the value in this, as well. I especially enjoyed your last paragraph where you talked about “traditional teacher roles”. It is so easy for teachers to get stuck in that mindset, but I know that if they would work hard to try something new like this, and get through the beginning stages, they would see the benefit for themselves and their students. More importantly than sharing with us, thank you for what you are doing with your students! Jason this is so important especially with students that do not “catch” on right away or struggling to get the concepts. If the teacher and the student keeps a growth mindset than its easier for the model to work. You are correct in saying traditional teacher roles. There are so many people stuck in the mind frame. Good Read!! Thank you so much for your caring words Alison Tomkins; you just added to the loop. Please go ahead and use the model, it was created for sharing. Hope you make great use of it. Thank you Ann P Morris for your value-added comments. I’m so hoping that the loop grows mindsets into growth mindsets.